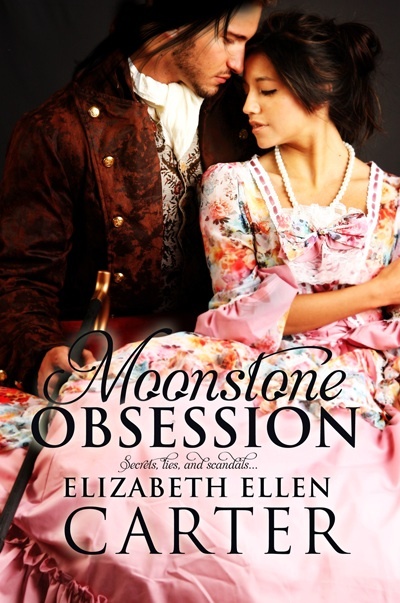 Elizabeth Ellen Carter celebrates her debut release, Moonstone Obsession, on October 18. It’s my pleasure to get in early and welcome her here. 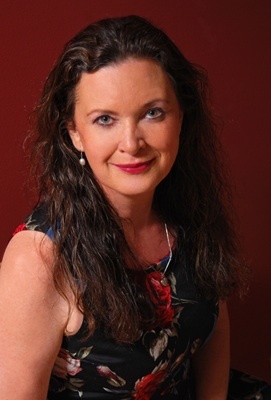 Like me, Elizabeth Ellen Carter has a journalism, PR, and media background, and when we were talking about article ideas, this one kept recurring: as journalists trained to gather and report the facts, how do we write creatively? I know from personal experience how much I struggled! Please take a look at her wonderful thoughts on the subject below! There’s an old saying that every journalist is a frustrated novelist at heart. This may or may not be true. What does seem to be true, is that when any child is discovered with a gift for creative writing at school, teachers and guidance officers promote journalism as a career option. Creative writing versus fact gathering. Hmmmm – that might go a long way to explaining why you can’t believe everything you see (or read) in the media. When Lily Malone asked me to pen a post about what being a professional writer has taught me about being a romance writer, I found it to be an excellent opportunity to take stock of how many different styles of writing there are – technical manuals, research papers, advertising copywriting, web site content, media release writing, news and feature article writing – and all of that before we get to individual styles one finds in writing novels! The Good: It will teach you how to share ideas succinctly. The Bad: You’re stuck developing a linear narrative with no opportunities to surprise the reader. “In some cases monetary limits apply to contents cover benefits provided under the Insured events defined above,” she breathed in ecstasy. The Good: It will teach you how to thoroughly research for authenticity. The Bad: Your story may get bogged down. He grasped her hand as they ran across the sand, staying close to the sandstone mesas to evade their pursuers. Sweat soaked their skin, but the warmth of his hand in hers was a lifeline. “Oh no!” she cried, tripping over a stunted cactus bush. He turned and with his finger, lifted her trembling chin tenderly as she picked the dislodged needles from her bleeding thigh. The Good: You can get to the heart of the emotion quickly. The Bad: There’s not a lot of character development. Freda eyed off the young tanned Greek bar man. She had only been in Thessalonica for three days, but she was sure he was flirting with her. Feeling a buzzing at her side, she broke off eye contact and rummaged through her handbag for the phone. At last the elusive lump of plastic came to hand. The screen was blank. An equally middle-aged woman seated across from her looked up and handed her the Alcatel One Touch 668. The Good: You learn what a deadline is. There’s nothing like having a subeditor scream in your ear that your 500 word story has to be filed in 15 minutes. The Bad: As a journalist you’re supposed to giving the readers all the facts from multiple points of view in the shortest length available. POV shifts happen within two paragraphs. So, what is good preparation for authors? Life – No matter what your day job, look for opportunities to talk to people and develop an understanding of human nature then you are well on your way to being able to tell a gripping story. Read – If you want to be a great author, then read great writing in the genre that most interests you. Develop an understanding of why your favourite author is compelling. Write – The story in your head is a block of fine marble, your words are chisels and hammer that you can wield forcefully or gently to create a sculptural masterpiece. But it will never happen until you pick up that tool. See! That was fun wasn’t it! Love those examples. Thanks so much for visiting Elizabeth Ellen Carter and huge big wishes for the release of your new book! You can find more information about Moonstone Obsession below. Elizabeth Ellen Carter is that writer who went through that dodgy part of town into Mediaville before making that U-turn into PR Road (by way of Marketing & Communications Street) and she is now on her way to Novel Town. Her debut novel, a historical romance, Moonstone Obsession will be published on October 18 by Etopia Press. Ha, I was the technical writer (IT procedures, risk assessment plans etc) – but they never sounded like that 🙂 And yes, my problem still remains layering the story. I still write very bare bones and succinct and need to go back and back again to layer. Hi Kerrie! I should have known that if I had a ‘milestone’ moment on the blog, you’d be around. I’ve just passed 5000 views today! Thanks for being such a regular visitor & commenter! Thank you very much for having me as a guest Lily! HIlarious ladies! As someone who has lived in all those towns – Mediaville, PR Road, M+S Street and now Novel Town, I am so with you! Great post EEC. That’s the funnest way to look at what strengths and weaknesses you bring to writing. Thank you! I need to mention that you left out the scientific name of the cacti and you’d need that right up front at the first mention of the cacti 🙂 Never guess which one I was, would you? Congratulations, Lily, on your milestone! LOL. I had you in mind the entire time I read EEC’s piece! LOL I love it Cate! Next Next post: The Romance Reviews’ Year-End Splash (YES!) Party in November!